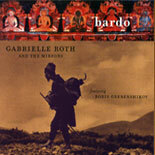 One of Gabrielle’s most treasured quotes is: "Do you have the discipline to be a free spirit?" We are now totally excited to present to you a new series of loose-fitting, sized (S, M, L, XL) tank tops with that quote down the spine. 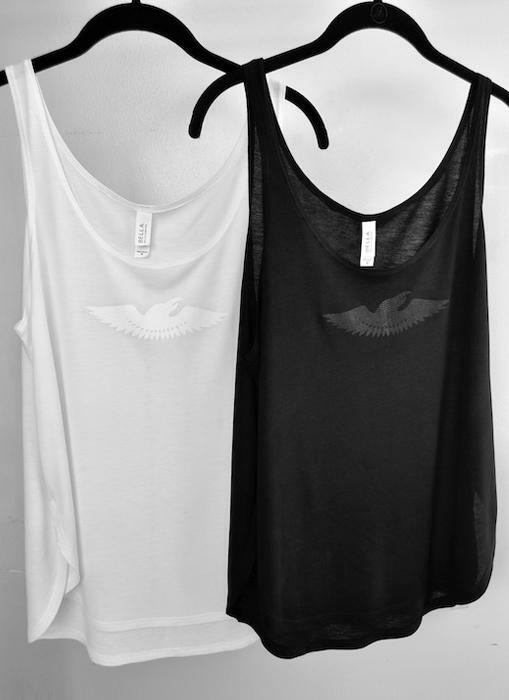 The black version of this tank has a black Raven logo on the front, and the white version has a white Raven logo. These tanks are beautiful and meaningful – a delightful combination! 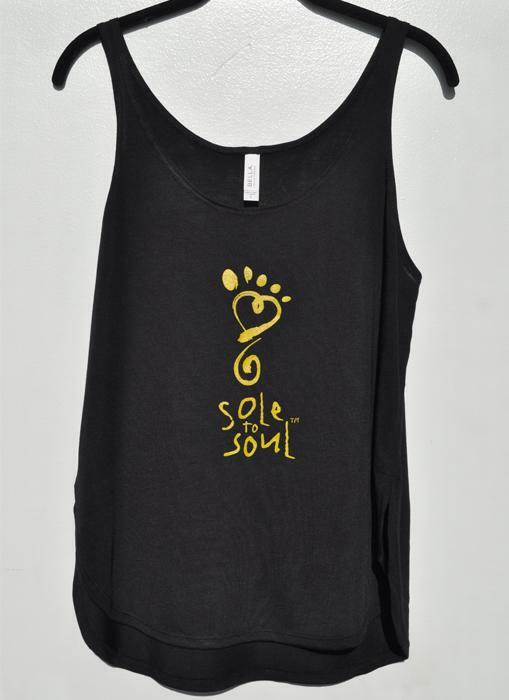 The tanks are 65% polyester and 35% viscosa, and are machine or hand washable. 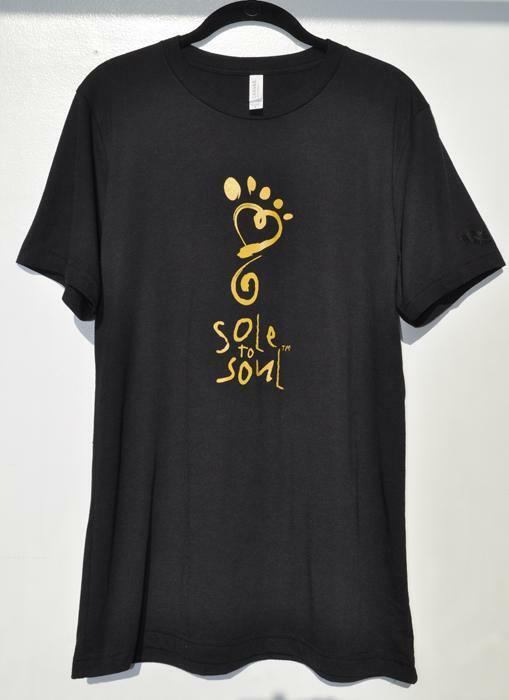 Colors: Black/White Prints come in both colors. 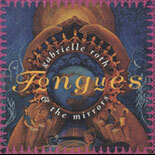 Back in the day (late ‘70’s - early ‘80’s), before it became a seminal influence in the creation of the ambient music genre, Gabrielle Roth & The Mirrors was making “regular” music, a blend of early ‘80s rock and tribal chanting -- songs with lyrics, verses and choruses. 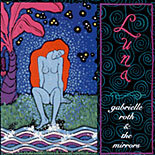 This album is a re-release of some of these early songs, which were part of a cassette called PRAY BODY. Like messengers from a bygone era, the energy in these songs rings as clearly as ever, and Gabrielle’s lyrics are as relevant today as they were in those days of yore. 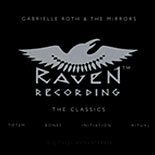 In addition to her usual role as Musical Director, Gabrielle sings or speaks on 5 of the 6 tracks. 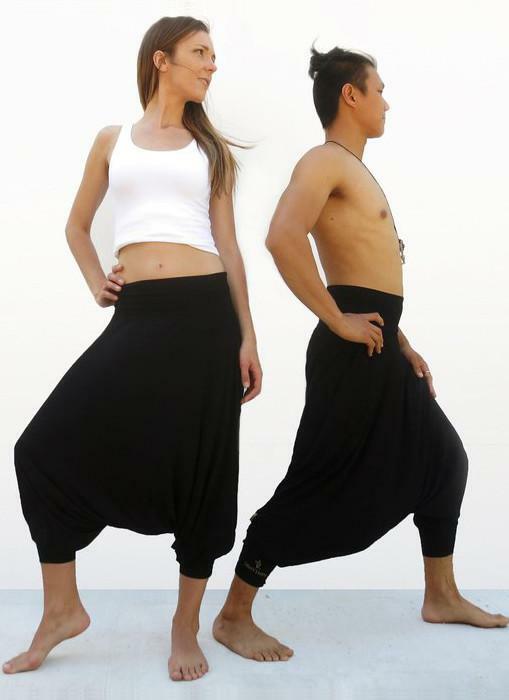 The flowing design of these unisex harem style drop-crotch pants gives you the freedom to move and stretch. High quality cotton-spandex blend flows with your body, does not get wrinkled, and dries quickly. OK for both machine-wash and dryers on gentle cycles. Hand washing and drying is always recommended to preserve the item longer. 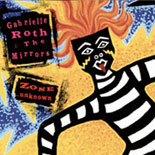 After Brian Eno, Gabrielle Roth & The Mirrors is the band many music critics see as the seminal influence in the creation of the ambient music genre. 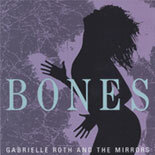 Producer Robert Ansell: “When we first tried to market this no-lyrics, no-choruses, no-verses, trance/dance, rhythm-ride music in the early ‘80’s, there was no bin to accommodate it.” Sixteen albums later, the music of Gabrielle Roth & The Mirrors is danced to by hundreds of thousands of people as the predominant sound track of the ecstatic dance movement that is sweeping the world. 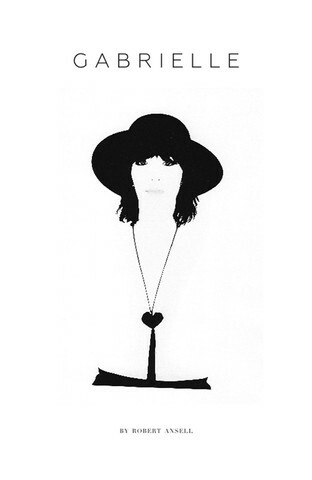 Here is a loving portrait of Gabrielle Roth, the person, not the icon. Written by her husband of 35 years, and filled with his dramatic photographs of her over the years, Gabrielle is an intimate tribute to the power and grace of one of the most dynamic and beloved figures in the world of feminine spirituality. 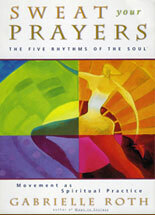 This is a revolutionary moving meditation through the 5Rhythms®. This flexible dance workout adapts to your energy and your schedule, while you explore these core rhythms and their capacity to teach, catalyze and heal. 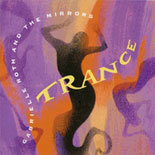 Gabrielle is back with a smoking collection of tripped-out tribal rhythms that send you into a state of trance ecstasy. 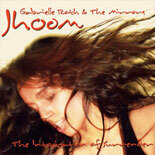 Jhoom is a hypnotic blend of drums, bass, strings and female chants, an adrenaline rush and a whirl of electrifying tribal grooves that will awaken the spiritual hunger within you, while keeping your feet in constant motion. Gentle grooves, a deep, sensuous ambience. 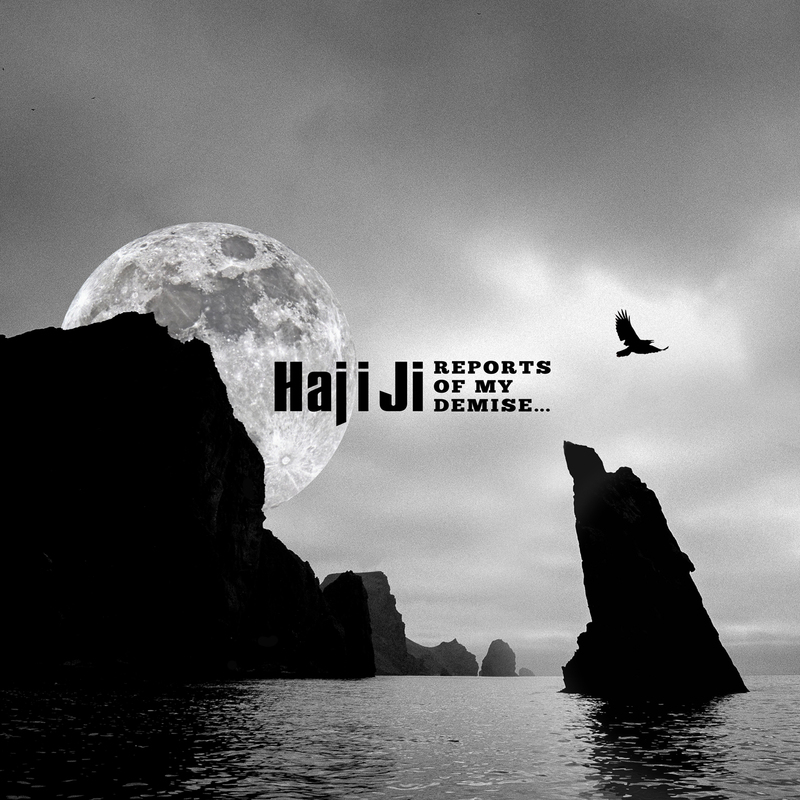 Transcendental, hypnotic music with the mystical language of the soul. Featuring Boris Grebenchikov, with a special guest appearance by Deva Premal and Miten. This album is jumpin’! A high energy journey through the 5Rhythms. 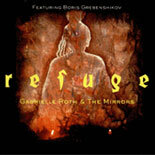 Take the world beat percussion of Gabrielle Roth & The Mirrors, add Tibetan Buddhist chants by legendary Russian rocker, Boris Grebenchikov – seek Refuge! Hot, driving and trancy, with a focus on staccato and chaos. 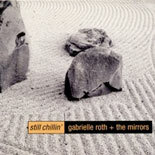 A compilation of Gabrielle’s songs of stillness: deep, relaxing, inspirational. Hot, with an emphasis on vocal chanting. This album weaves a sensuous web of mystery and delight. 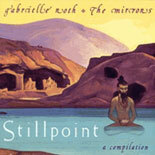 The focus is on the rhythm of flowing (featuring Jai Uttal). Nominated for an INDIE as best New Age album. A great blend of exotic pulses. 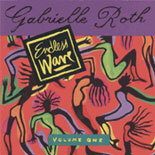 Three warm-up songs lead to the 5Rhythms®. 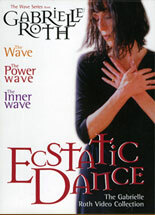 A high energy dance journey to the other side of yourself. The focus is on the rhythms of staccato and chaos. Laid back grooves, with emphasis on the rhythms of flowing and stillness, for movement, massage, meditation and other rituals of remembrance. 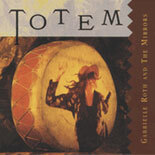 Groovin’ hymns to the sacred animal spirits; a deep calling to the inner dance, the dance around your bones. A musical map from inertia to ecstasy. Dance it! 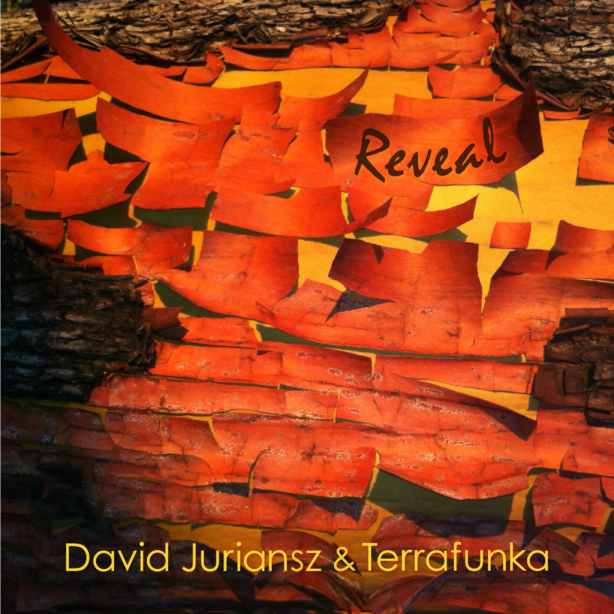 The groundbreaking underground classic, regarded by some critics as the seeds of the ambient music revolution. 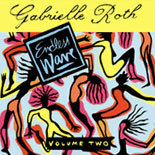 Part 1: The soundtrack of Gabrielle’s extraordinary DVD, The Wave. 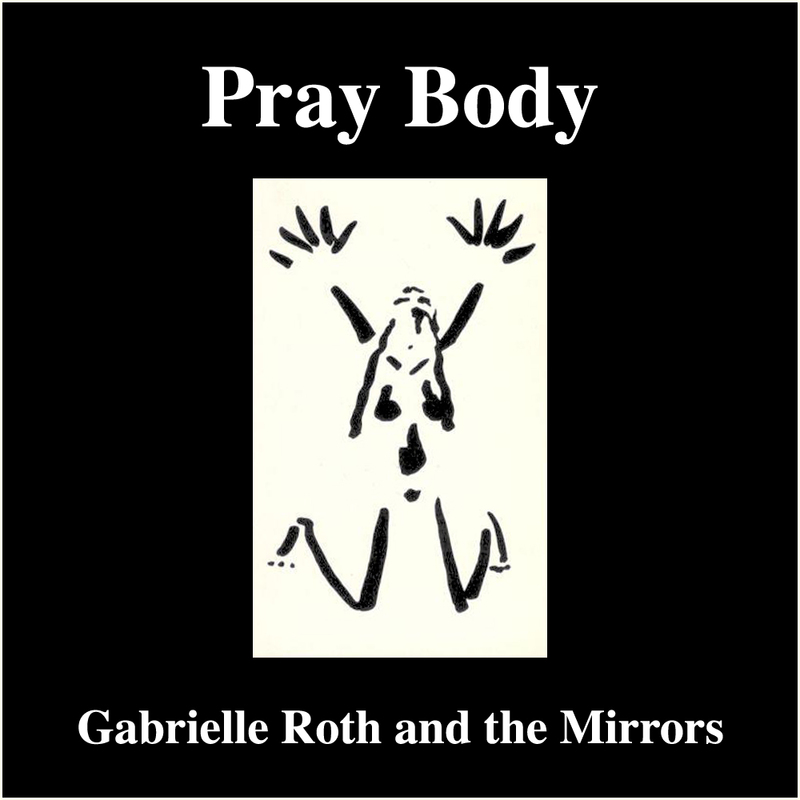 Gabrielle guides you through the bodyparts and the 5Rhythms®. Part 2: An unguided tour through the bodyparts and the 5Rhythms® set to a hot, new percussion track. 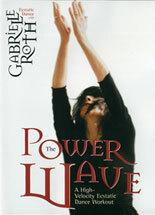 Part 1: The soundtrack of Gabrielle’s DVD, The Power Wave. 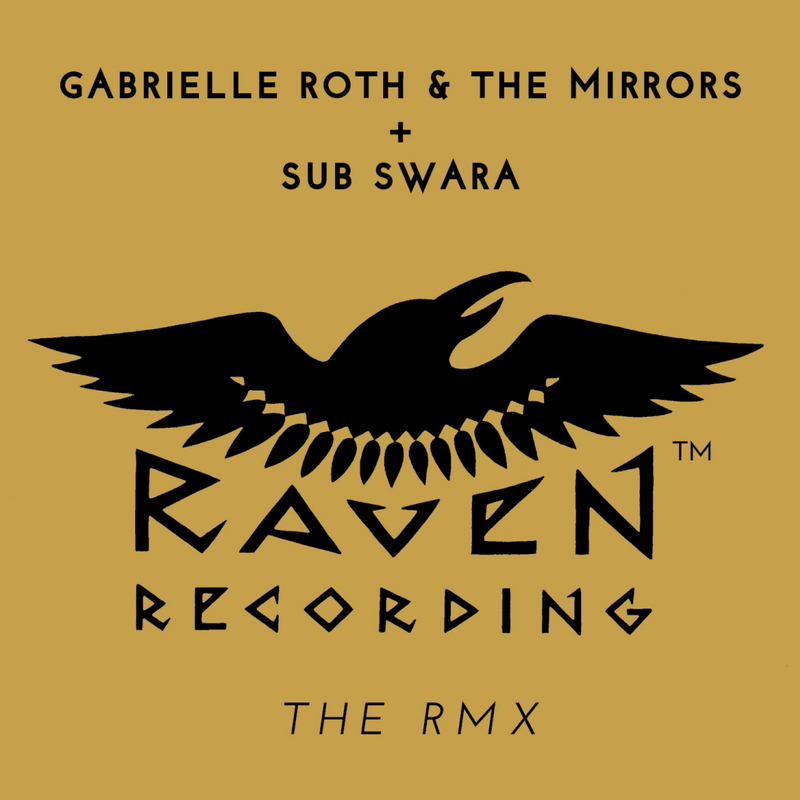 The music is from the album Tribe and Gabrielle’s voice-over guides you through an up-tempo, intense journey through the 5Rhythms®. 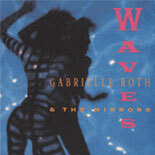 Part 2: The soundtrack of Gabrielle’s DVD, The Inner Wave. 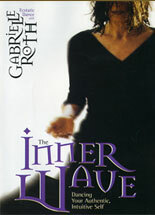 Guided by Gabrielle, this is a deep, personal and meditative journey through the 5Rhythms® set in the context of stillness. Smoothly rolling rhythms that are as limber, graceful, conducive to stretching and soul-inspiring as a perfectly-formed yoga posture. 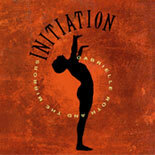 More flowing rhythms and vocal chanting to support any yoga practice. Do you have the discipline to be a free spirit. Rhythm is our mother tongue. My body is a begging bowl for spirit. After you jump and before you land is god. My body is a cathedral of bones. 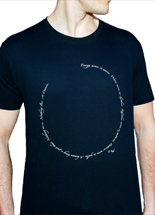 This unisex t-shirt is 100% cotton, pre-shrunk and is washer and dryer safe. 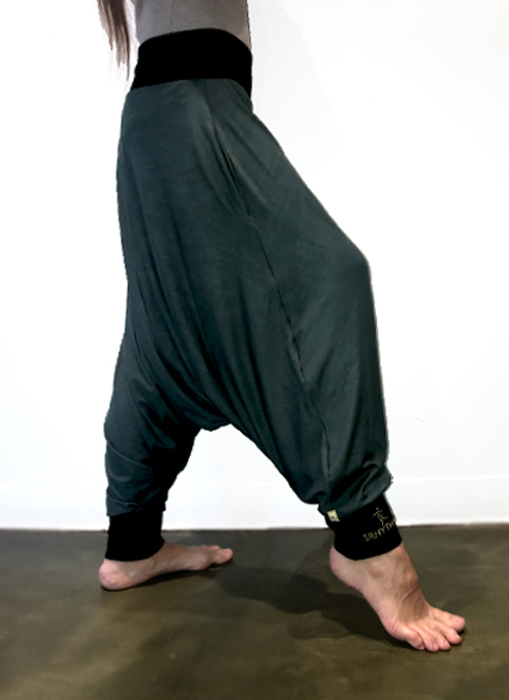 This stretchy, non wrinkle fabric is 5% spandex and 95% rayon and is machine or hand washable. 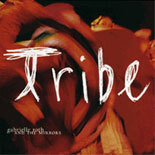 A high-velocity trance/dance workout set to the music from the album, Tribe. Pumping up the beat, Gabrielle guides you through the 5Rhythms® as you join dancers of all ages, sizes and shapes for a non-stop celebration of the human body in motion that you can practice alone or with friends, at home or in a dance space. 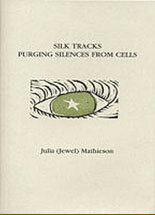 This is an exploration of stillness, the mother of all rhythms. It is a deep, moving meditation that will clear your mind and open your heart as you move to the stillpoint within. 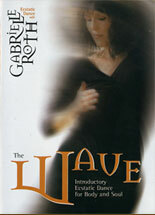 A boxed set of The Wave, The Power Wave and The Inner Wave for a substantially reduced price. Dances of Ecstasy, featuring Gabrielle Roth among others, is a sensory journey into the mesmerizing world of trance and music that binds dancers from Manhattan to Morocco. The film travels to various traditional and modern day rituals to discover the altered state experience which people seek through dance. 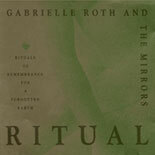 In these rituals, Roth5Rhythmsÿ dancers in Manhattan, Whirling Dervishes from Turkey, Orisha priestesses from Nigeria and Brazil and shamanic healers from the Kalahari and Korea pulse to the same beat as thousands of young people at an all-night techno dance party in an Australian forest. 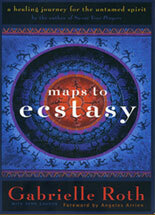 Maps to Ecstasy was my first book. After years of witnessing dancing bodies, I began to see patterns in their movements, an infrastructure underlying all our experience, a living language. I was stunned at how all these patterns revealed themselves to me in fives, as if guided by some universal principle. This book weaves the mysterious workings of our personal universe into maps that can inform and guide our way, maps that illuminate the sacred underpinnings of our most ordinary relationships. Maps that help us make sense of our pain, our process and our patterns. Maps to Ecstasy is the foundation of my philosophy: Put your psyche in motion and it will heal itself. Sweat Your Prayers is an expedition through the 5Rhythms™. Most of my life has been spent on dance floors, watching the beat strip people down to their naked souls. The rest of my time I''ve spent searching for a language to describe what I see. Writing this book was a deep and powerful experience for me. I found my voice. And in my voice, I found the rhythms and patterns, waves and cycles, repetitions and breakthroughs that carried me across the pages into the heart of my work, the landscape of the 5Rhythms™. Each rhythm is a state of being; an outrageous world of deep inner teachings as well as an extraordinary map to the creative process. Sweat Your Prayers is the foundation of the practice: how to harness the raw power of rhythm into a movement practice, a path of self-realization. Connections is my way of supporting the magical intuitive genius that I see struggling to break each of us. It's a mysterious little book, a collection of strands of wisdom straight from the dance floor, which has always been my laboratory for the investigation into what it means to be a human being. Intuition is the dance of the mind, the thread that ties all our stories together as it guides our way in this whirling world. For me, the body is a Zen dojo, a sacred space for spiritual investigation. At least a billion miles of unexplored wilderness lie between the head and feet of any given person, and Connections is my exploration of this instinctive, intuitive world within us. 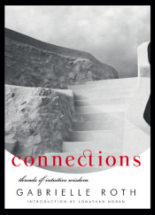 A poetic journey through the emotional wave of fear, anger, sadness, joy and compassion. 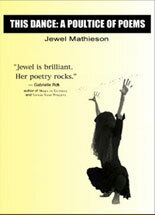 I remember the moment Jewel burst into my vision, Liquid motion, raw passion, revolutionary leaps of consciousness held together in a faded leotard. The bones of her story hung in space like skinny revelations whispered in quivering muscles. I witnessed her transformation from a girl to a woman, from lover to mother, from student to teacher, from an abused child to a wounded healer and all the while I could not separate her feet from her mouth, her pain from her beauty, her freckles from her wisdom. In her surrender, I have seen God with my own ears.